Supergirl gets a Red Lantern ring and a rage induced adventure begins. This story combines the titles of Red Lanterns and Supergirl to tell a mutual story of growth for Supergirl as well as Guy Gardner. 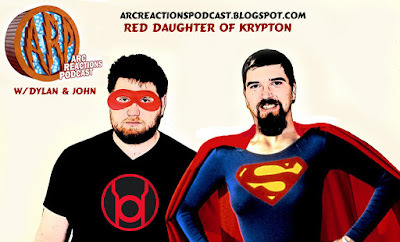 Dylan and John broaden the topic to include the Red Lanterns’ place in the DC Universe as well. Also, John’s horrible singing makes a return to the podcast. We know you’ve been waiting for that. Our next episode will be the movie review of Fantastic Four on August 9th.